For all the talk about the electric car (EV), it remains a niche vehicle. Sure, Tesla has an amazing valuation as a company, and many other manufacturers have actual production EVs on their showroom floors. But nationwide, market penetration is minimal - 1 percent or lower in some estimates. 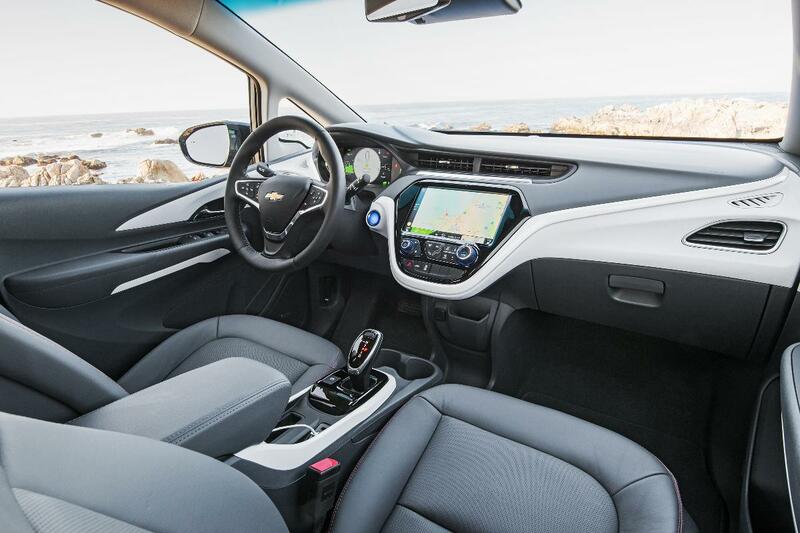 That may change with the launch of the 2017 Chevrolet Bolt EV, an all-new, all-electric vehicle. With a starting list price of $29,995 (after Federal Tax credits), General Motors has beat Tesla to the punch. Tesla's much-hyped Model 3, touted as the Tesla for the masses, is still on the drawing board, despite having collected millions of dollars in pre-orders. Bolt is here now, available for sale in California and spreading across the US this summer. 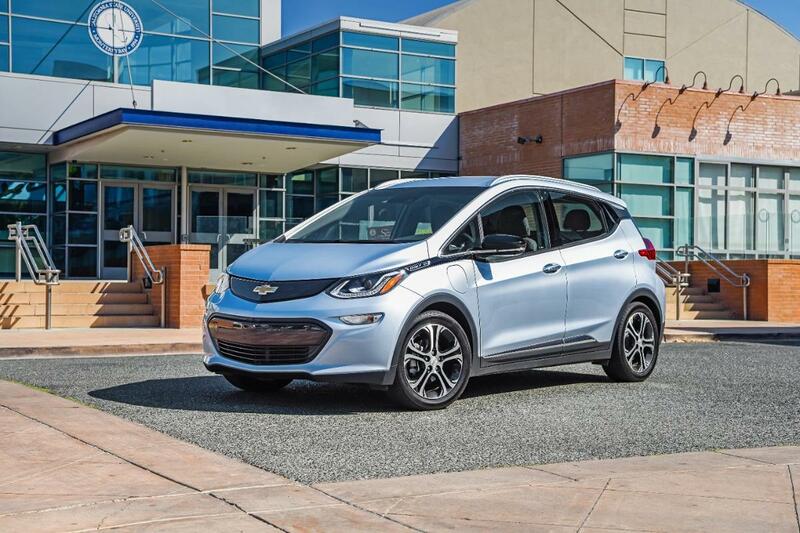 The Bolt succeeds by being entirely ordinary and user-friendly. All-new from the ground up, the EV rides on a platform that was designed from the start to be all-electric. It looks like a compact crossover, with a five-door layout and contemporary yet mild styling. In a lineup of Chevrolet vehicles, it fits right in. You might not even notice that it's an EV at a glance. Inside, the Bolt refrains from showy design and instrumentation. The most eye-catching detail is a 10.2-inch touchscreen display at the top of the center stack, arranged in landscape orientation. The interior feels roomy and nicely finished with quality materials, but is definitely more popular than luxury in its aspirations. The technology that makes the Bolt go is impressive. A 200-hp/266 lb-ft of torque drive motor powers the front wheels, drawing its juice from a 60kWh lithium-ion rechargeable battery array. Driving the front wheels only helps with packaging - the motor and circuitry live up front, basically under the hood like a traditional car, while the battery array is housed low and over the rear axle, which balances the car and gives it a low center of gravity, while still retaining a good amount of cargo space under the hatchback. The regenerative braking system captures energy like we've become accustomed to in hybrids and other EVs, sending charging energy to the batteries when the vehicle slows and brakes. Regeneration can be initiated by touching the brake pedal, or (cleverly) with a Regen paddle on the steering wheel. You have the option when driving of using the Regen paddle to slow your Bolt instead of using the brake pedal, all the way to a stop. You still want to be ready to use the traditional brake for high demand braking, but it is possible to complete an entire drive using only the throttle pedal and the Regen paddle. It takes a little bit of familiarization and practice, but pays off in extended range and charge. Driving the Bolt is pleasant and enjoyable. The instant access to torque makes it feel quick off the line (Chevy reports 0-60 times of 5.5 seconds), and the only mechanical noise you hear is a bit of a whir. There's no clunky transmission to shift and no exhaust noise (there's no exhaust). Perhaps because of that, I noticed wind noise and tire noise more than usual, but it was still comfortable to carry on a conversation in a moving Bolt without strain. The Bolt's handling is better than I expected it to be, based on other EVs that I've tested. The low center of gravity and well-tuned electric power steering give the Bolt a fun-to-drive character, once you accept the artificial feel of the regenerative brakes. At the launch event that I attended, I didn't get enough driving time to test Chevy's 238-mile claimed EV range, but I drove long enough to see that significant range is certainly possible. Getting the rating over 200 miles was a wise target for the Bolt, because it feels like a very useful number for most around-town uses. I wouldn't head out on a road trip in a Bolt, but I wouldn't be preoccupied with range if I headed out for multiple errands with a full charge.